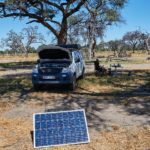 How to book your Botswana campsites? 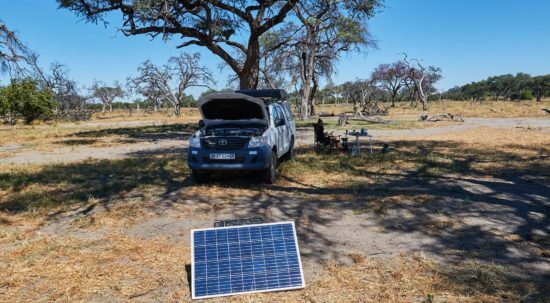 It can be a bit of a challenge to book a camping trip in Botswana. 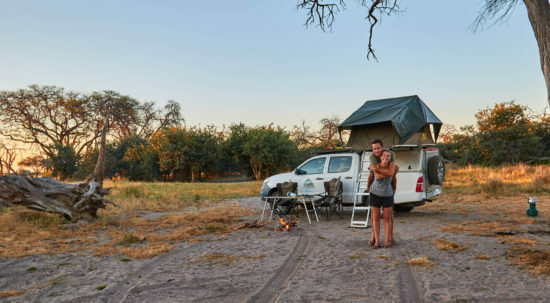 We’ll give you some tips on how to book your campsites in Botswana in this post. 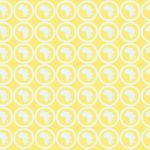 Haven’t got that much time to spend in Kasane? 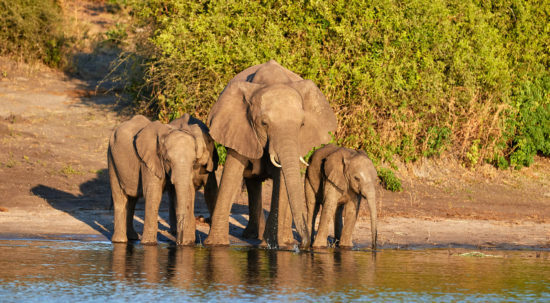 Take a boat trip over the Chobe River or spot some game in Chobe National Park. Read all tips and tricks about this interesting area in this post. 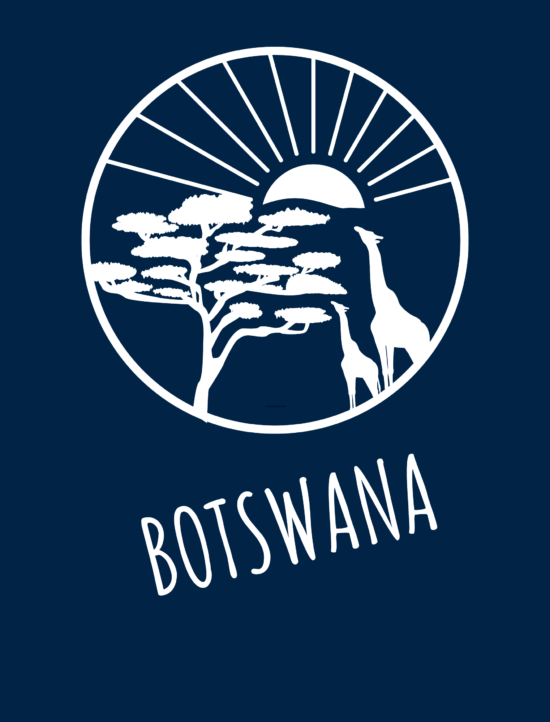 Waking up everyday to the magnificent country that Botswana is. 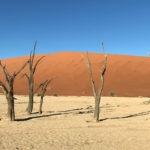 Here are all the morning photos we took in this wild country! 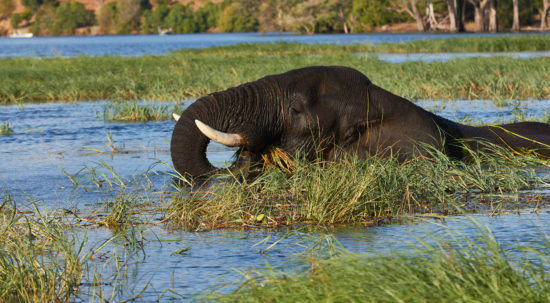 The Chobe River runs through the Chobe National Park. What a great boat cruise Chobe River we saw elephants swimming in the water right next to us. 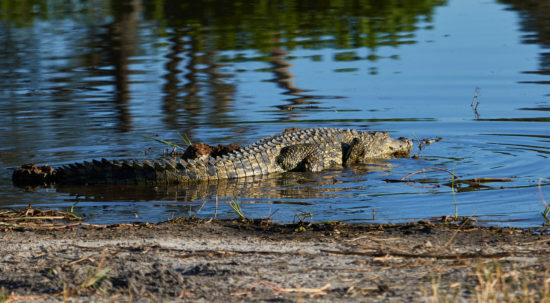 The Chobe River runs through the Chobe National Park which therefore allows you to watch the park from the water. It was a great experience since we saw elephants swimming in the water right next to us. They were swimming to an island to eat the fresh grass. We then saw a herd of elephants coming down to drink. 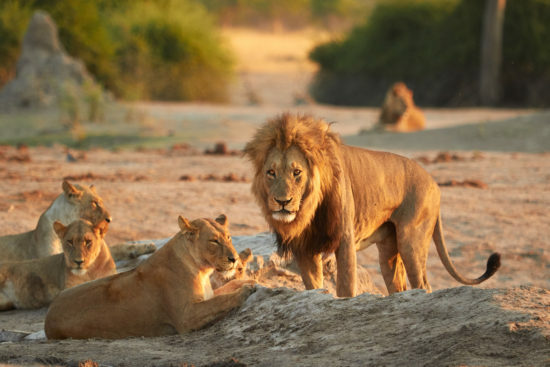 We headed towards the Southern entrance gate of Chobe National Park to stay in Savuti Camp. This turned out to be quite a challenge but we made it. During our morning drive we saw the Savuti lion again. After two days in Savuti we headed to Khwai North Gate where we had our first flat tire. Read out full story.. Finally it was time to head to the bush for six nights. We stayed at the Khwai Campsite and were visited by a lot of animals especially some elephants. 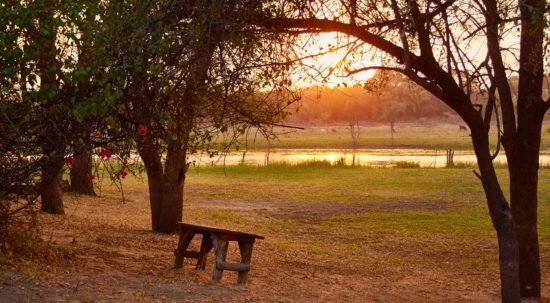 We slept at the Okavango River Lodge campsite in Maun. After we relaxed a bit from the 500 kilometers of potholes the day before we went to Maun the next day to stock up on supplies and arrange a couple of things. Read more about our shopping adventure. 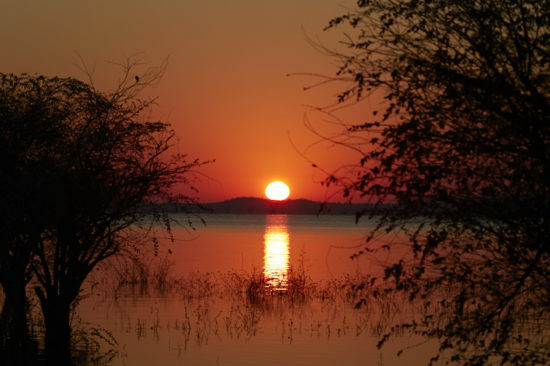 Chobe National Park consists of different nature ecosystems. One of them is Savuti. 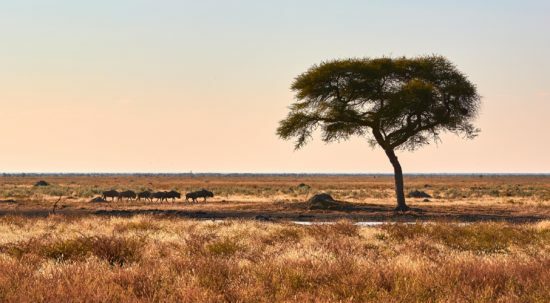 This area is known for lions, elephants and the Savuti Marsh. Hey there! Welcome to Go Wander The World. 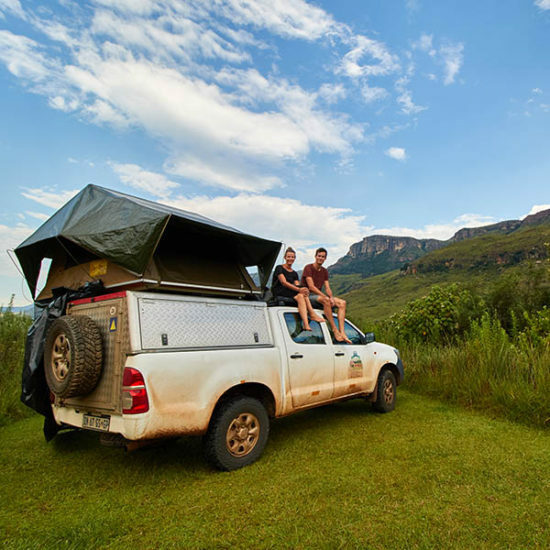 We are Lennart and Jolene and will take you along all the amazing places we visit in Africa. 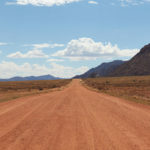 Along the way we work as Digital Nomads on our two companies Travel Often and Big Jet Plane.